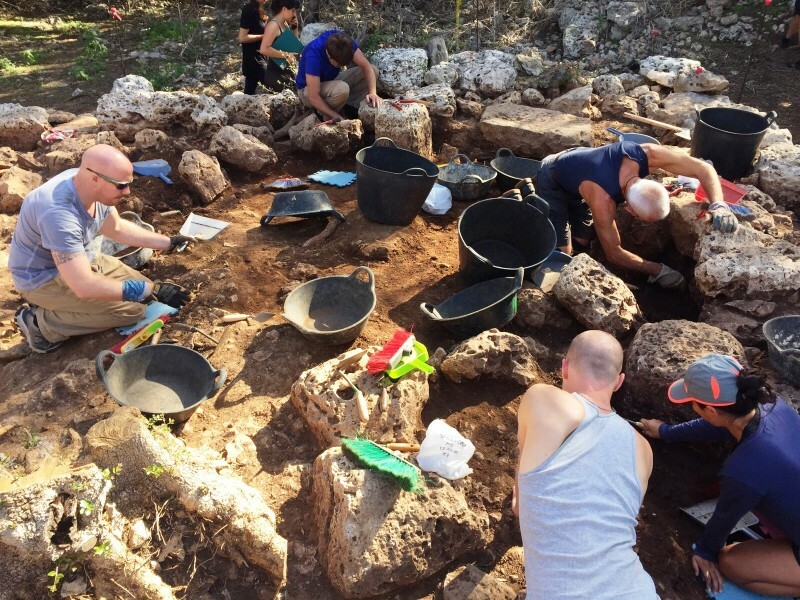 Archaeological Fieldwork Opportunities Bulletin - Archaeological Course (2019) in the Iron Age sanctuary of Sa Cudia Cremada, Menorca. 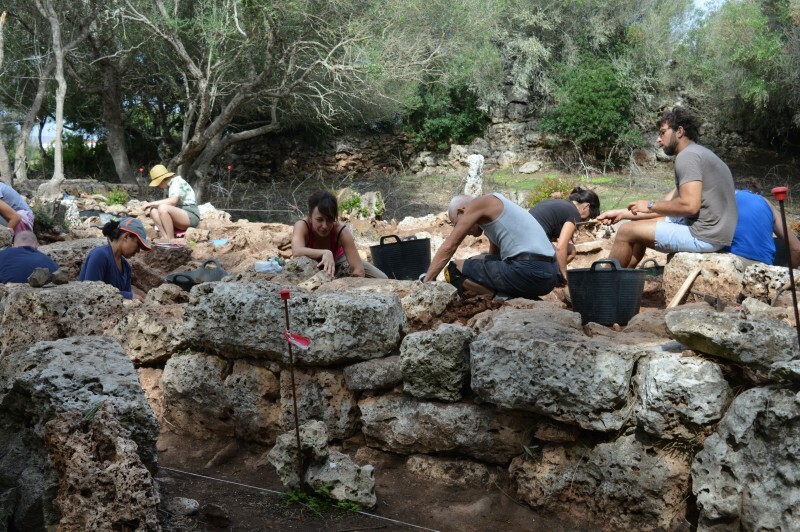 Archaeological Course (2019) in the Iron Age sanctuary of Sa Cudia Cremada, Menorca. Cristina Bravo and Irene Riudavets. 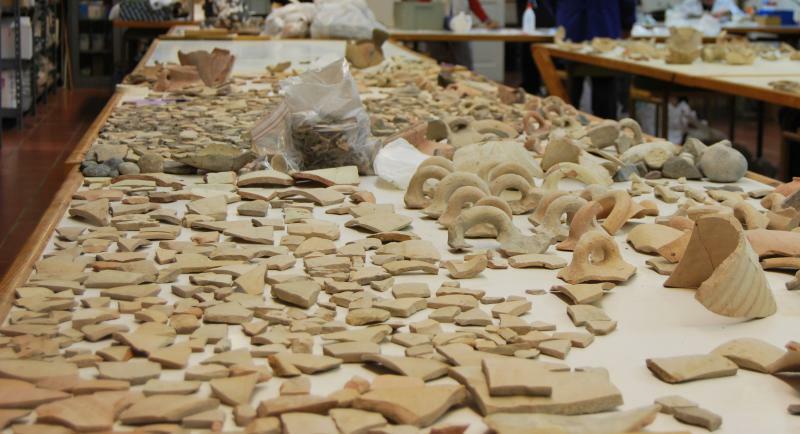 DIG IN AN IRON AGE SANCTUARY IN THE MEDITERRANEAN! 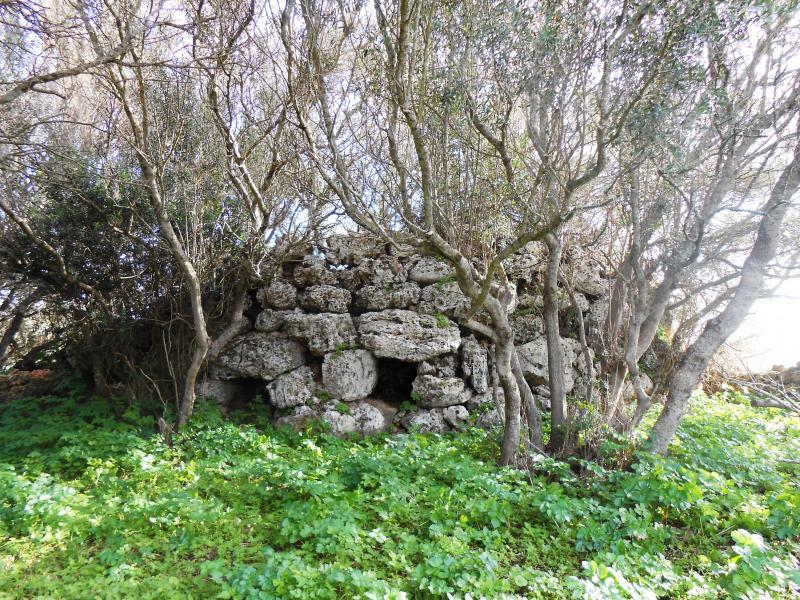 The site of Sa Cudia Cremada has one of the last unexcavated cyclopean sanctuaries known as Taula enclosures, which can only be found in Menorca! This excavation will take place in one 2-week session in 2019! The talayotic culture is defined by a series of cultural traits which were developed by human communities during recent Prehistory in Mallorca and Menorca (Balearic Islands, Spain). This society lasted over a long period of time in Menorca, covering approximately all the Iron Age. It started around the end of the 2nd millennium BC and the arrival of the Romans in 123 BC caused its rapid extinction. It was a relatively complex society whose members based its economy on farming and stock-breeding. Despite its heterogeneity due to the long period this society lived on, many of its intrinsic cultural features didn’t change over time, such as the cyclopean technique, hand-made pottery production, collective inhumation burials, etc. Around 500-400 BC commercial relationships with foreign cultures increased, mainly by means of contacts with Punics, which caused many changes in the indigenous culture of the Balearic Islands. Besides, the talaiotics (name given to the members of this society) left significant evidence of their strong religiousness, which was expressed in both their funerary world and their sanctuaries, that is to say, the so-called taula enclosures. These buildings are considered to be the religious centers of all settlements and were pre-eminent during the 2nd half of the 1st millennium BC. Of all these outstanding buildings that existed on the island, 32 are still preserved, which are unique and exclusive to the island of Minorca. The archaeological site of Sa Cudia Cremada, in the vicinity of the city of Mahón, is located in an agriculture holding’s property, where very well-preserved architectural, ethnological and archaeological elements blend in a unique and characteristic Minorcan landscape. Even though all the area is archaeologically rich, the most distinctive part is formed by a talaiotic settlement along with its necropolis. The most visible structures are three talaiots (monumental tower-like structures) around which the rest of the structural remains are organized in the dwelling area. Hence, this culture’s name derives from the talaiot, its most characteristic and unique building. The other important building in Sa Cudia Cremada is the taula enclosure, where archaeological fieldwork run by the field school will take place in 2018. In this building the main feature is a pillar with a lintel on the top part, called taula (meaning “table” in Catalan) due to its T shape, which is located at the central part. Even though we do not understand its whole meaning, it can be affirmed that religious ceremonies were carried out around it by the community. Due to the exclusiveness of the talaiotic culture as a witness of a past society, unique in the world as a significant evidence of the human being’s past, Menorca talaiòtica (talaiotic Minorca) aspires to become a UNESCO World Heritage site through its nomination. This nomination is represented by a series of selected archaeological sites on the island, Sa Cudia Cremada being one of them. The main aim of fieldwork is that of approaching the talayotic culture to students through different tasks related to an archaeological excavation. Fieldwork will be combined with lab work, lectures, workshops as well as excursions to discover the natural environment of an island which was declared Reserve of the Biosphere by the UNESCO in 1993. During the course free days will be available to students so they can explore and enjoy the traditional horse festivals, whose origins date back to the medieval period, which take place in several towns in Menorca during summertime. 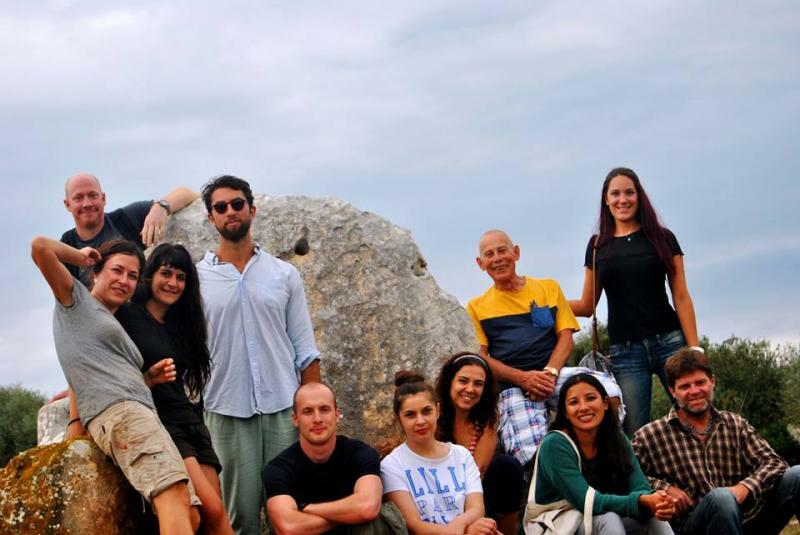 In 2019 Sa Cudia Cremada Field School offers an archaeological course for students interested in gaining first-hand experience on fieldwork and laboratory tasks. We welcome university students, professionals as well as everybody who is interested in Archaeology and Ancient Mediterranean History. 2019 course will take place in one sessions with a length of 2 weeks. During the course, students will dig in the settlement’s sanctuary during the first half of the day, whereas the second part will be devoted to lectures, laboratory tasks and workshops. 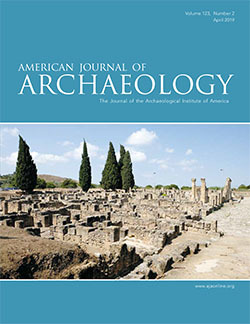 - The identification of archaeological remains and features. - Drawing maps and sections. - The use of topographic instruments. - Drawing of archaeological materials. - Classification and inventory of materials. - Proper packaging of materials. - 2-week course: 790 Euro including: tuition fees, course materials, pick-up service from the airport upon arrival, accommodation, daily transportation to/from the site/ the accommodation, excursions, accident insurance, snack during school time, entrance to museums and archaeological sites, workshops given by visiting specialists, Field School T-Shirt and certificate of participation. (Transportation to/from Menorca and meals outside school time are not included). Fieldwork in a unique Mediterranean archaeological site, where participants will have the opportunity to dig in an Iron Age sanctuary: a taula enclosure, which is a type of monumental building only to be found in Menorca. The course is open to students interested in gaining first-hand experience on fieldwork and laboratory tasks. We welcome university students, professionals as well as everybody who is interested in Archaeology and Ancient Mediterranean History. Thus, previous experience on the subject in not required. To ensure we deliver a high quality training, our groups are not larger than 8 participants. Rooms in the field school's residence (beautiful house in town with all services): 1 to 2 people per room. Snack provided during school hours, meals outside school time are not included.